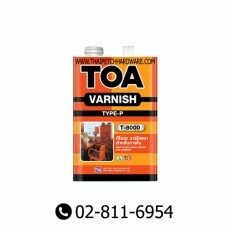 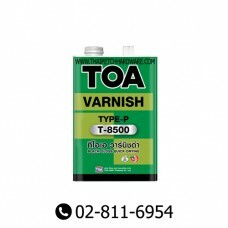 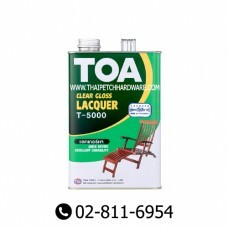 TOA Gloss Vanish T-8000 for InteriorTOA Gloss Vanish T-8000 for interior is suitable for all kinds o..
TOA Black Gloss Vanish T-8500 for InteriorTOA Gloss Vanish T-8500 for interior is formulated from pr..
TOA Clear Gloss Lacquer T-5000TOA Clear Gloss Lacquer #T-5000 is formulated from Nitro-Cellulose, re..
TOA Clear Matt Lacquer T-5500 TOA Clear Matt Lacquer #T-5500 is formulated fr..
TOA DeckingStain Matt (1GL)TOA DeckingStain Matt is formulated from alkyd resin, special additives, ..
TOA Gloss Vanish T-9500 for ExteriorTOA Gloss Vanish T-9500 is suitable for all kinds of exterior &a..
TOA Industrial Lacquer Gloss (1 GL. 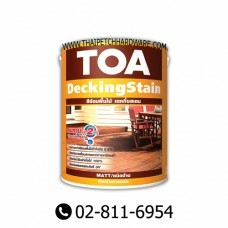 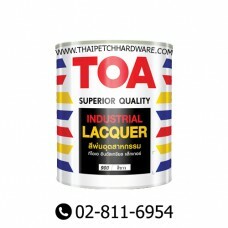 )TOA Industrial Lacquer is formulated from premium Nitro-Cellulos..
TOA Industrial Lacquer Gloss (5 GL. 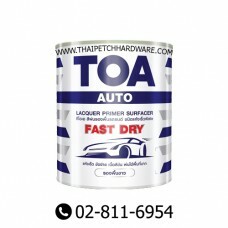 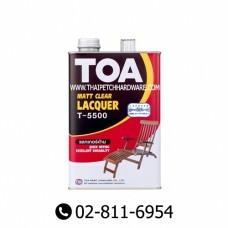 )TOA Industrial Lacquer is formulated from premium Nitro-Cellulos..
TOA Lacquer Primer Surfacer (Fast Dry)(5GL)TOA Grey Lacquer Primer Surfacer Fast Dry is formulated f..
TOA Lacquer Sanding Sealer T-5555 (1GL. 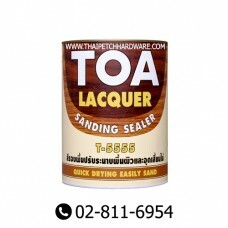 )TOA Lacquer Sanding Sealer #T-5555 is formulated from N..
TOA Polyurethane 1K Gloss for Exterior T-4000 (1/4GL)TOA Polyurethane 1 Part Gloss for exterior #T-4..
TOA Polyurethane 1K Gloss for Exterior T-4000 (1GL)TOA Polyurethane 1 Part Gloss for exterior #T-400..